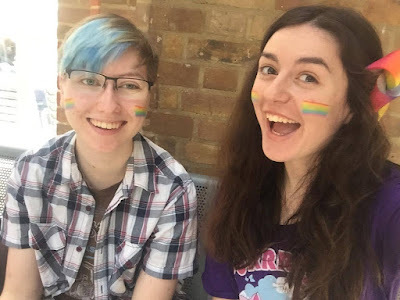 Pride will always be a special part of my life, and since Pride month is coming up, this is a blog post about exactly why that is! It's also International Day Against Homophobia, Biphobia and Transphobia today, and this is a reminder that if you're queer or questioning, the community is here for you. We're not going to stop fighting against discrimination and prejudice whilst there is still work to be done, and you. are. valid. Since officially coming out in 2014, I've thrived in the LGBTQ+ community, a place where I feel completely accepted and at home with myself. In terms of Pride events, so far I've attended Pride in London twice in 2016 and 2017, and Essex Pride once in 2017. These experiences have meant so much to me, there's just something so special about our community all coming together in celebration and in protest; uniting as one in front of the eyes of an entire city, unapologetic about taking up space. I adore being amongst a diverse range of waving flags, seeing couples and friends and families dancing in the streets wearing glitter, remembering our history, acknowledging all we still have to achieve but also cheering for how far we've come. 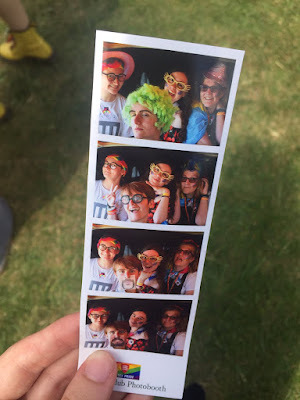 Attending Essex Pride proved to be especially important to me, surprisingly so. Whilst London is only a short distance away from my little town in Essex's countryside, it's somewhere I travel to and immediately feel myself. Whether I'm going there to steward at Shakespeare's Globe like I did last summer, to attend an exciting event or to meet up with incredible friends I found online - my life in London is one that I've formed for myself, and not one that's been thrust upon me. Essex however, represents the choices I didn't make. I'm privileged to live in the safe, comfortable area that I do however my town is something that's encouraged me to suppress who I truly am. I sometimes feel self-conscious at home - limited and like there's disapproval hanging over me. So, to attend Essex Pride and find myself feeling so at home in a place that I didn't choose as home, was actually wildly emotional. It was also very different to Pride in London - in many positive ways. It was smaller, but the chill relaxed vibe was actually so wholesome and lovely. The day didn't tire me out, I didn't feel overwhelmed, I just felt at peace as I laughed with my friends, made new friends, danced my heart out and took happy pictures. There was even a free photobooth at Essex Pride, and as a huge fan of photobooths I was incredibly impressed. 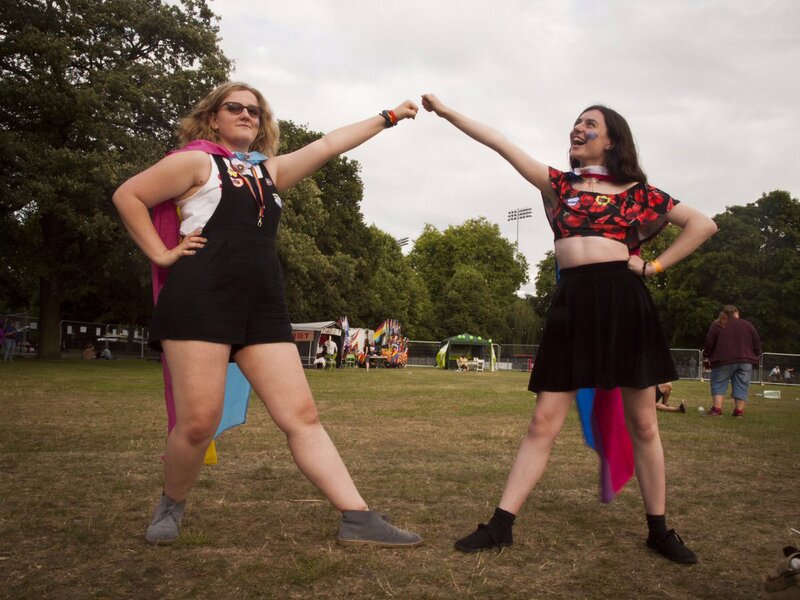 Whereas London is overwhelmed by queer culture on the day of Pride, and you don't ever feel watched for being a walking rainbow, Essex is very different in that sense. Until arriving in Chelmsford's central park, people will question the flags, the glitter, and it is possible to feel a sense of judgement. Maybe that's what makes it so relieving when you arrive. 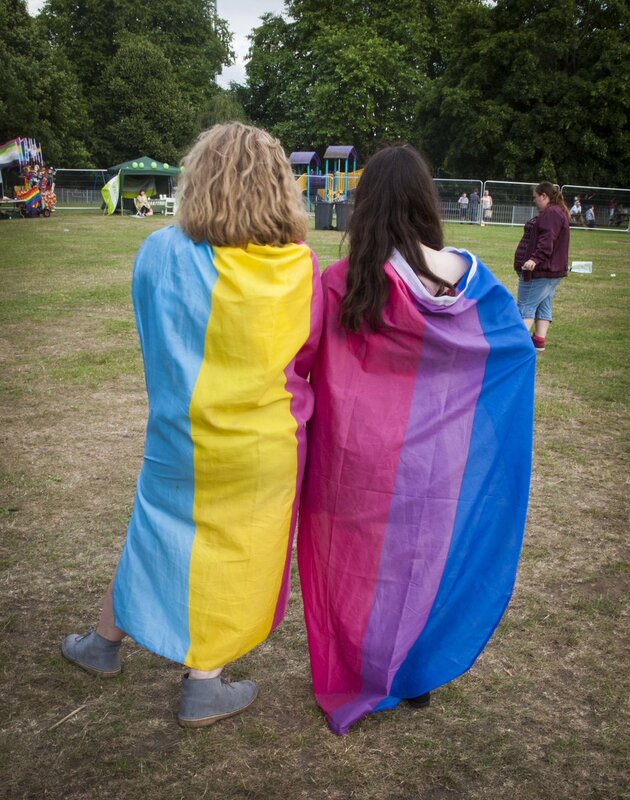 The park full of members of the LGBTQ+ community and our allies, inviting stalls full of colour, it's like a safe haven in a county where we're not usually this liberated. 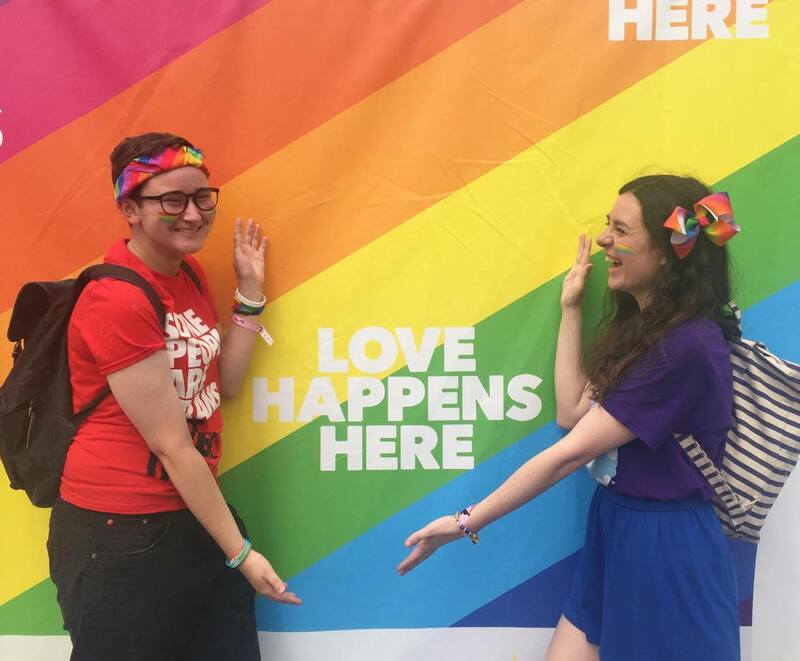 I made so many great memories at Essex Pride, having a much smaller space made the event so much easier to navigate, and I remember dancing to Whitney Houston and looking around me and just thinking 'wow, I'm so happy!'. It was genuine, overwhelming happiness that lifted my heart completely. 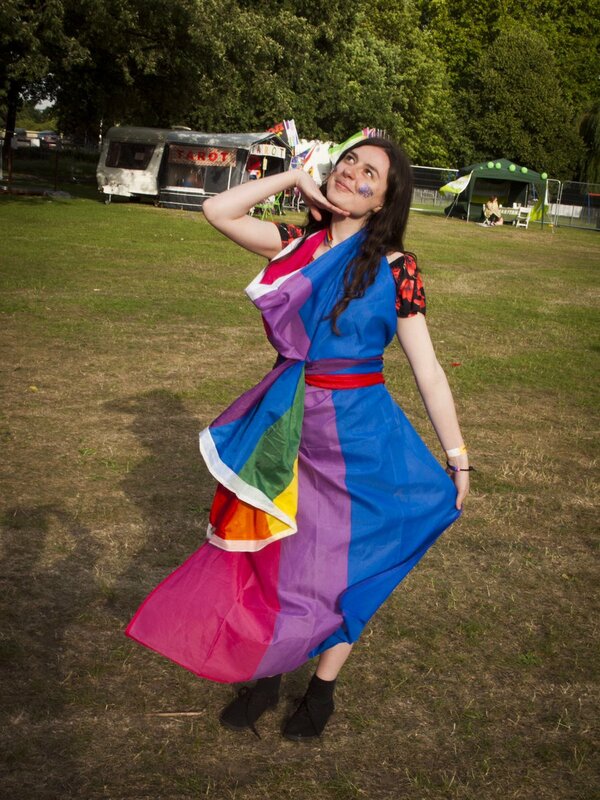 Pride in London will always be magical to me too though. 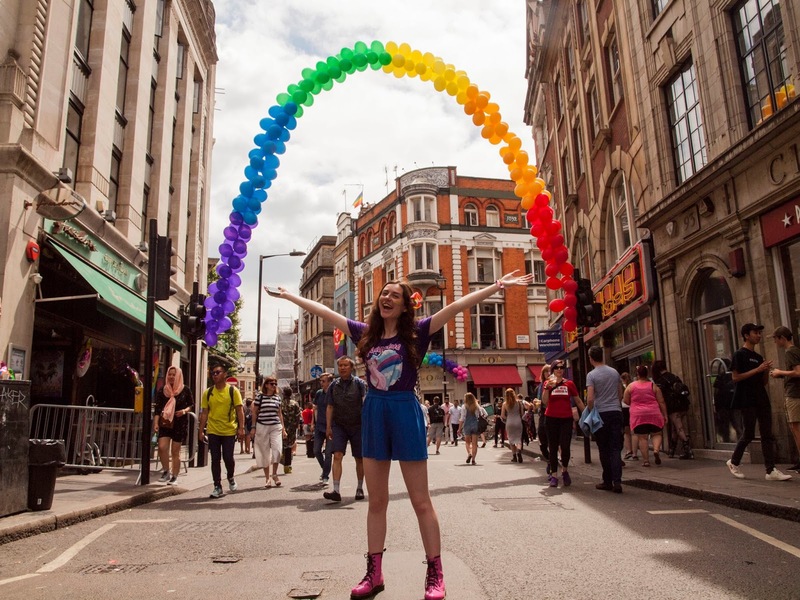 A massive city full of so many people I care about, loads of them in central London so we can celebrate our identities together - how lovely is that?! My friend Rowan was even on the YouTube float last year, and the work and creativity that went into the parade was stunning. We must remember why Pride exists though - it's a party, but it's not just a party. Pride is a protest, reminding us of all the work previous generations did so that so many of us can be queer and proud today. It's a safe place for everyone, whether they're queer or questioning or allies, and a chance to feel accepted and free. It's a reminder that the fight isn't over, and that many LGBTQ+ people are suffering as a result of their identities, and that this is not okay - we have every right to be angry. Pride is a vast mixture of emotions as you reflect and you flourish and you feel connected to every single person around you because you all know what it means to be accepted. It's like the butterflies I got when I first started having queer friends who I could talk to about queer issues, on a much larger scale. I absolutely adore my big online communities that majorly consist of LGBTQ+ people who understand me, and attending Pride is like seeing that represented in person. It's like scrolling through one of those queer hashtags full of people like you and seeing that we're all out here living our lives, and even if we're strangers, this community can feel like family. And that is why Pride is one of my favourite events of the year; it's a day of purpose and friendship and love, and I plan on attending as many of them as I'm able to. Subscribe below to keep up with my blog!